Welcome to the Home of Gower Cottage Brownies! Whatever the occasion Kate’s homemade brownies are the most unique gift, as well as arriving beautifully packaged with raffia and tissue paper with your own personalised message, they are the Best Brownies you will ever taste, don’t take my word for it simply look to see what our customers and the press are saying. Believe me once bitten, you will not become Brownie shy and how better to celebrate than with the gift of chocolate. Moving Home, New Baby, Christmas, Anniversary, Birthdays, Back to School, Get Well Soon, to say thank you or even sorry! Or for no other reason than to send yourself a gift! Every one of our Brownie parcels is freshly baked using free-range eggs and can be sent out on the day of order, for next working day delivery (orders placed before 10am). Alternately you can choose your delivery date during the order to schedule you deliveries in advance. 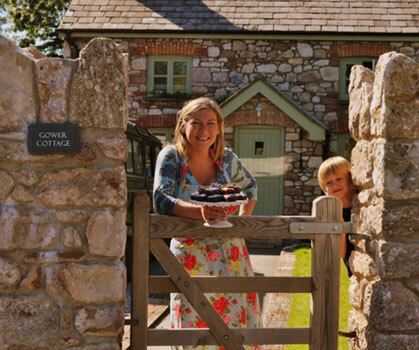 With the option of our Brownies with or without nuts, Gluten Free, hampers our unique Brownie Butter or the ultimate brownie subscription, we are able to satisfy all types of customers, whether young or old, Gower Cottage Brownies are the answer to all your gift buying dilemmas. Remember, all of our prices include free delivery. 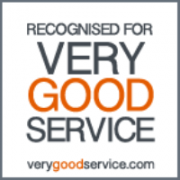 Although we have received numerous awards for our Brownies, ranging from Great Taste awards to Wales The True Taste awards, our greatest thrill is the numerous thank you emails that we receive from our happy customers. 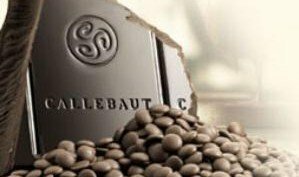 To achieve this we have been using the same recipe for more than 10 years, only adding new flavours when we have fully tested them and are completely happy with the quality of the product that we are offering. A big part in achieving this is the quality of ingredients that we use. The only ingredients in our brownies are British butter, free range eggs, sugar, flour and high quality dark Belgian chocolate. Only natural oils and/or nuts are added to some of our other flavours. As a mum to 2 small boys Kate has created the epitome of a Cottage Industry. Kate started selling her Brownies in the local village shop in 2007 where they rapidly became a favourite with both locals and tourists. Now Kate's multi award winning Brownies are sold in their thousands across the UK. Kate featured on ITV1's Countrywise Kitchen Team as their Baking Guru and along with fellow presenter Mike Robinson, showing the nation how to bake up simple, traditional family favourite recipes.